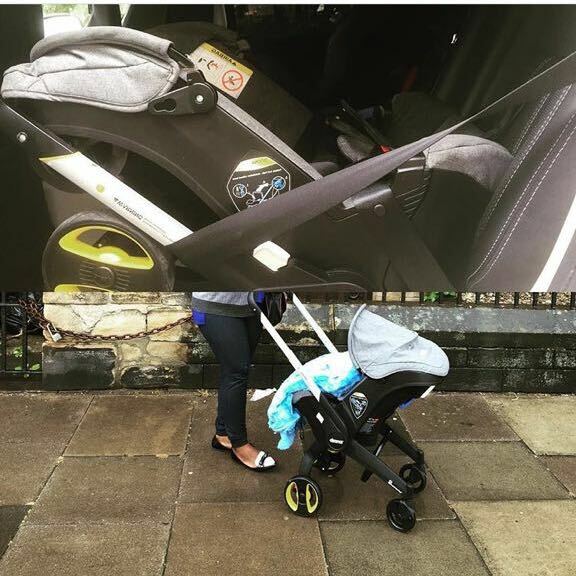 Nice car seat that transforms into great little pushchair. Was a real life saver after emergency c section as I couldn't carry anything heavy afterwards. This car seat made my life so much easier. I would recommend it as must have for all new parents! We used this product from the get go and absoloutly loved it. Aside from the obvious that this product is extremely easy to use and makes life that little bit easier with a baby. It also looks much more comfortable for our little ones compared to other car seats. 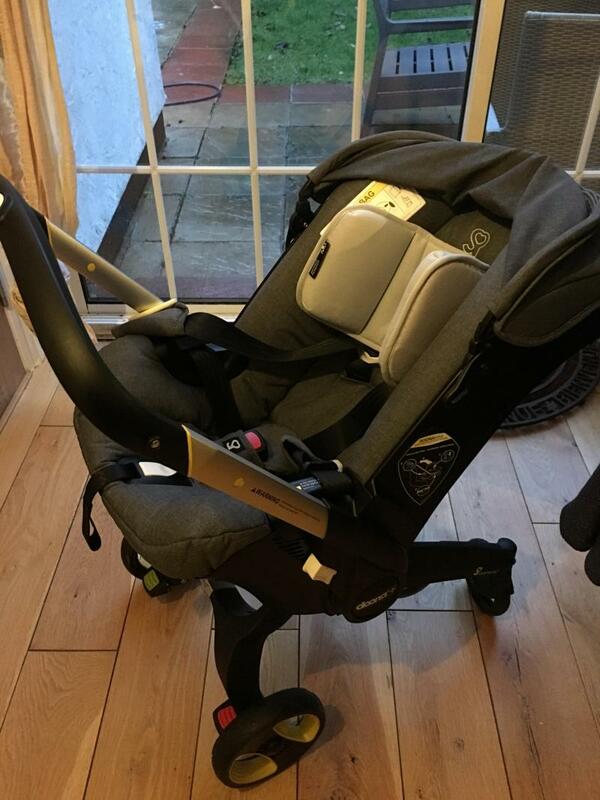 It has a bit more space and is slightly more reclined so the baby isn’t crunched up or folding in half. It’s very strong and feels very secure in the car. 5 star product we will be using again for our second baby! Easy for quick trips out, good size! Not great for walks on tricky grounds! 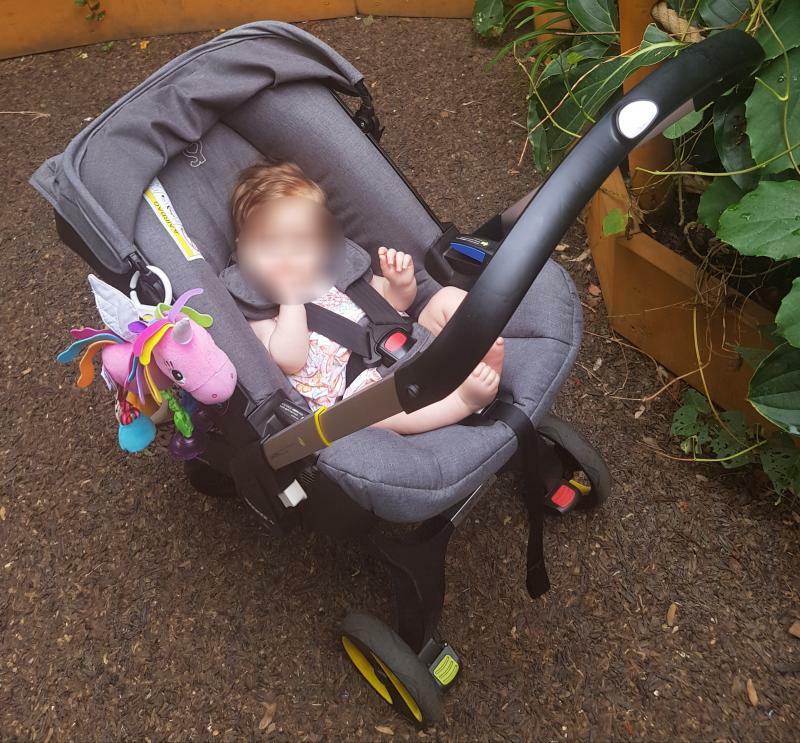 The Doona has literally been a god send for me as a first time parent, saves me having to lug numerous parts of a heavy pram around and transport baby from car seat to pram everywhere I go! Constantly getting stopped in the street to answer questions on the Doona as other people are stunned with the idea! Suitable from birth as includes cosy newborn insert that my little one LOVED and would sleep every time he was in it! Would be suitable up until 12 months I say too, so well worth the extra cash on this item. This is the best thing any parent to a newborn could purchase. It’s easy to use and so convenient for those quick trips to the shops. It’s rear facing and changes into a pram in a matter of seconds!! Deffo recommend it and can’t possibly fault it. lets talk abit about the Doona! 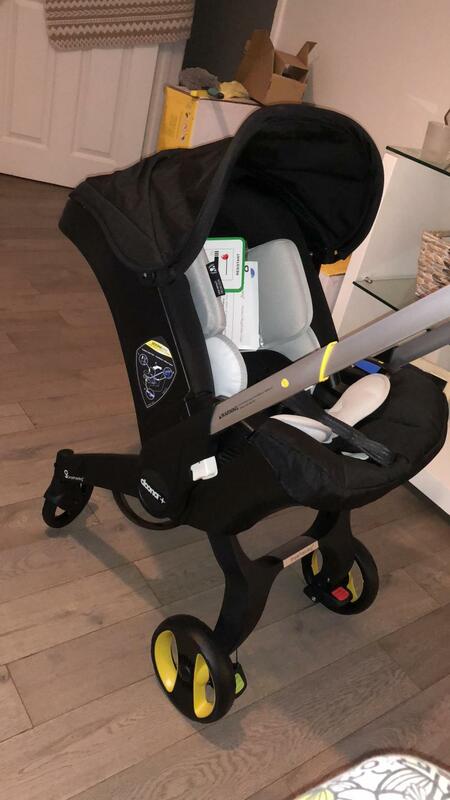 Doona It’s the first hybrid car seat and travel system on the market and, with safety features including a double wall structure and anti-rebound handle. 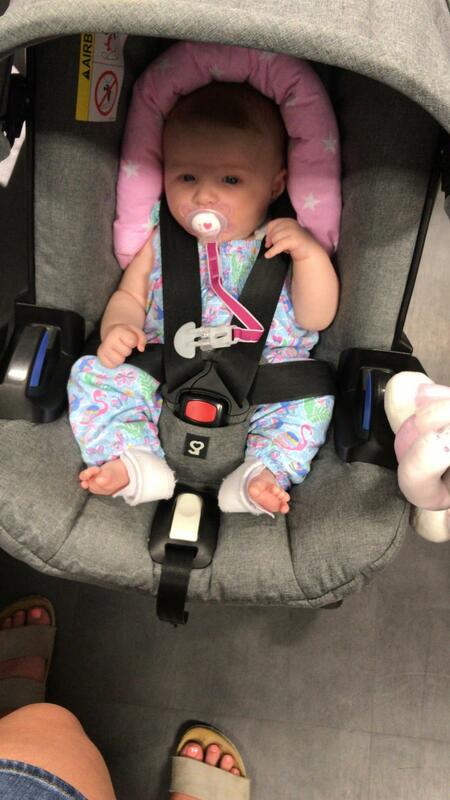 This car seat has been given thumbs up by many celebrity parents. 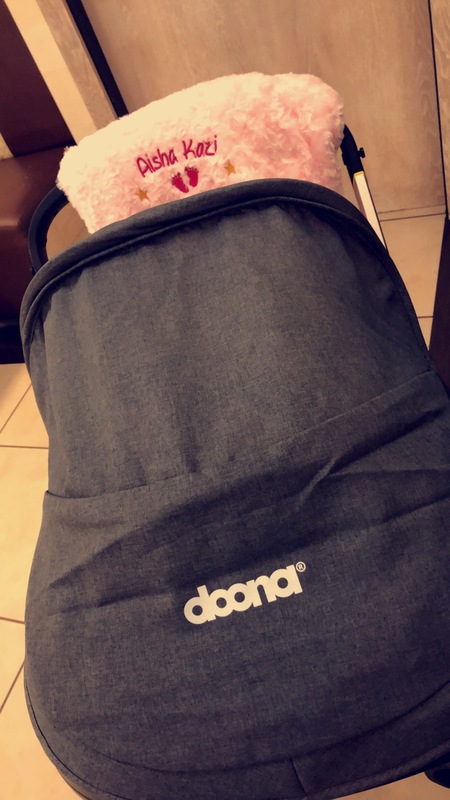 I defiantly recommend doona to anyone weather your first time parents or not. This car seat it’s great wen doing school runs or regular trips to the shop as it’s so easy to use. If you are like me a person who dnt like bulky stuff or things that take to much space this is perfect! The car seat it’s really compact as you dnt require a pushchair and it saves space in your car and home. 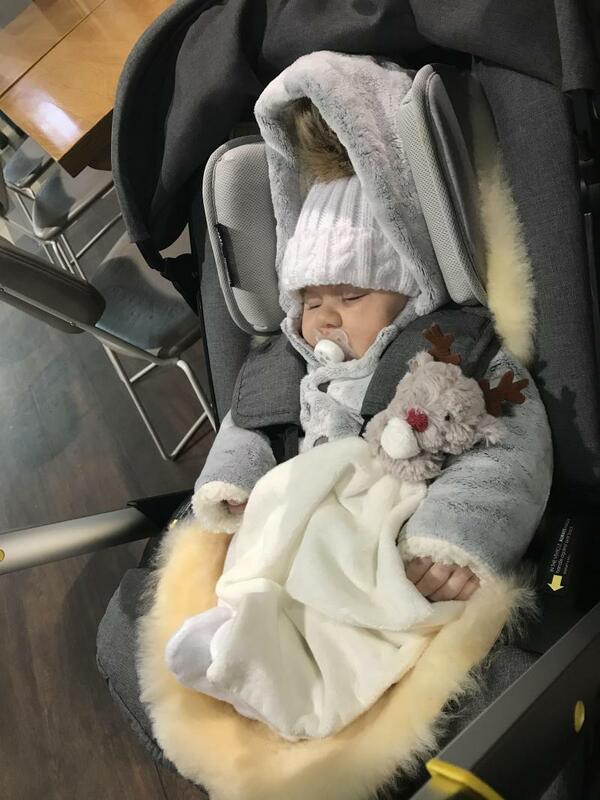 We absolutely love using our doona , we have used it from newborn up until 9 months (still using) it’s so ideal for those short quick trips out shopping ! Or the school run. I love the design of the doona so simple and comfortable for baby. It’s so easy to maneoveor and get in and out of the car easily. Heavy, unable to change colours if you require a second colour pack. We brought this in 2016 when they were new to the market! Absolutely saved my life. My travel system was too big for my car :( silly mistake by myself, however this was perfect for all those little trips into the shops to grab nappies / milk at a rush! Also so easy when baby is already aleep! Covers come off to be washed. Downside is that due to it having the built in wheels it is already quite a bulky and heavy car seat so unable to carry if you wanted to! But the wheels are easily popped out! Takes some figuring out to work out the best way for you to get the wheels out without waking the baby! But I’ve mastered this now! We have stored and kept the seat to use with our next baby due in 5 months:) already excited! I really love this car seat/buggy. It is easy to switch between the two. It has been very handy for me as I use a lot of taxis so this saves a lot of time and effort. 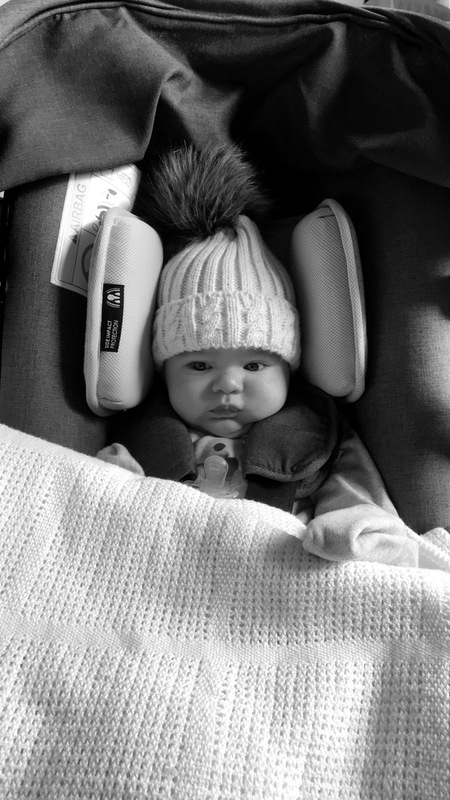 My little one has used it from birth, the newborn insert is very padded and comfortable. Only down sides are it does come with any acessories other than a newborn insert and car seat mat. We also found the front wheels are so small they get stuck on large curbs, pot holes, gravel, uneven land so it's definitely not for off roading, but as a city stroller it's quite nifty. Also not great for shopping trips as there is no under buggy storage although this can be bought separately. This is excellent I’d like me you have more than one child to think about and don’t want to wake the baby. However it does fall short in that there is no basket to hold any items. 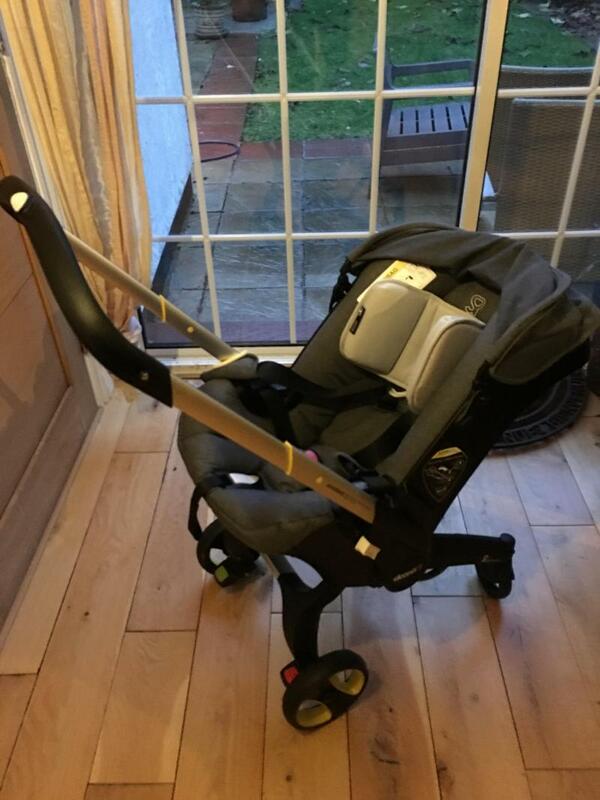 Easy to use and push not bulky like other pushchairs. Great product for parents who travel a lot. 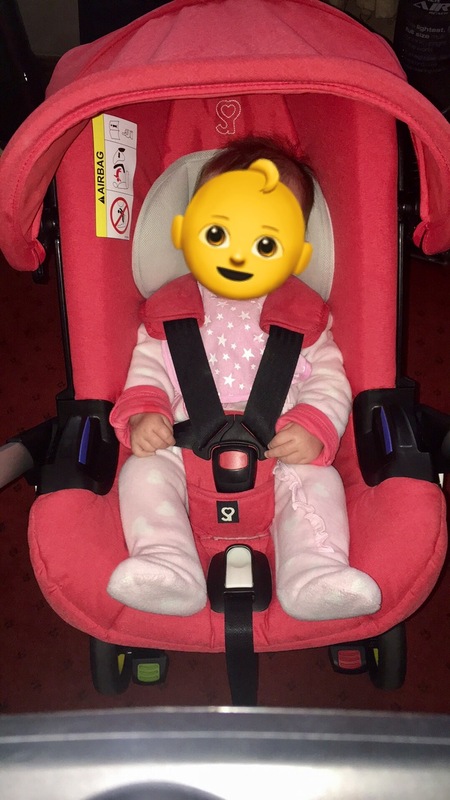 Safe and secure for baby and converts into pushchair to car seat in seconds. I first discovered the doona in Tesco carpark! While I was struggling to put screaming baby back in the car seat then fold up buggy a lady next to me pulled up, pressed one button and hey-presto, was on her way! 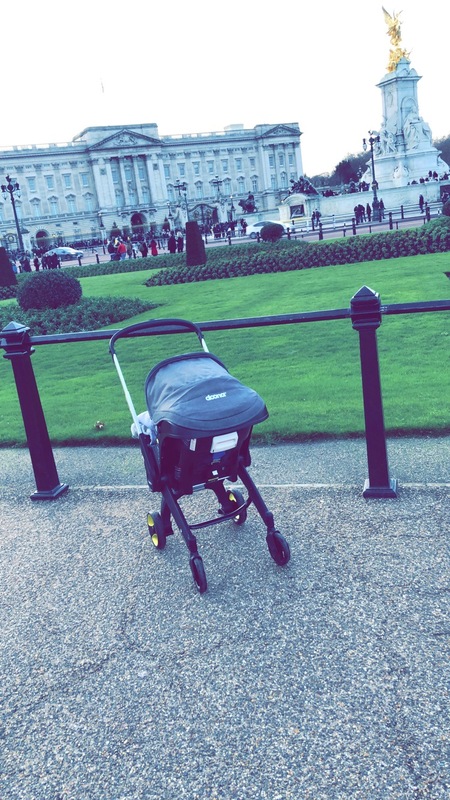 It’s a fab little buggy, we only use it for holidays and grandparents use, handle bar is a bit wobbly and much lower than my bugaboo but still a great item! I wish this was around when I had my older 2 children. My back and hips were constantly out of alignment by popping into the shops with a sleeping baby in the car seat, which would be held by my hips!!! 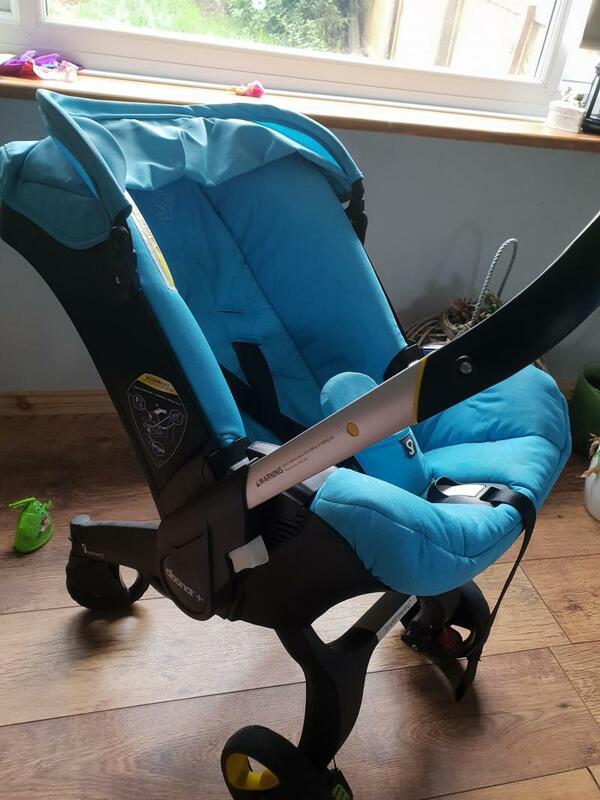 Now it’s so easy to do the school run, car seat is light, clips out of the optional Isofix really easily, then once it’s out of the car, one push of a button and the wheels are out. The handle has to different lengths, the bottom one is perfect for my 8 and 6 year old to push their sister and join in. The wheels go back so easily as well, again just one button and they fold back in as you push the wheels from the front. It manoeuvres really well too. My friends want another baby just so they can get the Doona!! Easy to use & so helpful to all lifestyles. During my pregnancy I went into an independent shop to take a look at what was on the market for car seats. The man asked me why I wasn’t going for a travel system and told him it was because we wanted to use a sling for as long as possible and would need a car seat only. He then showed me the Doona and I was sold! Before we bought it, I took my partner to try it out and being a gadget man, he was so impressed. It’s absolutely the best purchase we’ve made so far! When our little man is sleeping we don’t have to disturb him when popping in and out of places. It’s easy and just as light as any other car seat, that we don’t have to carry! It’s fantastic when popping into the shops, especially as it frees up your hands to hold a bag of shopping or two. If your a busy parent or use public transport , you might find this even more helpful! It doesn’t take up much space, so you rarely have to “fight” for buggy space, if you’re on a bus and there aren’t any further buggy spaces, you can easily put it into car seat mode and then onto the bus you go! Everyone that sees me says how they wish they had bought this as there car seat option. 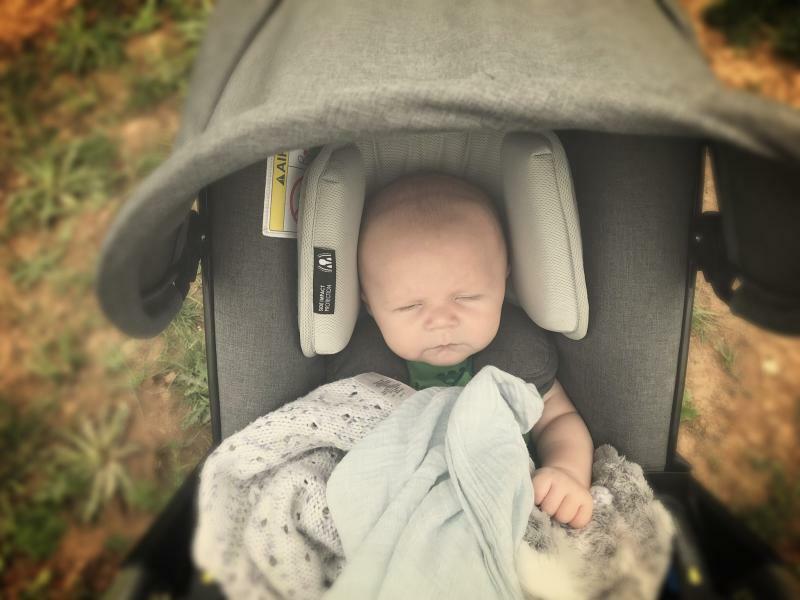 It doesn’t replace a buggy completely, we ended up purchasing a carrycot buggy, because we go out on long walks and out little man loves laying down. But we highly recommend it’s a 5* from us! Quick, convenient, easy to use. Lose straps, heavy once baby grows. My experience with the Doona so far has been overall a really good one. 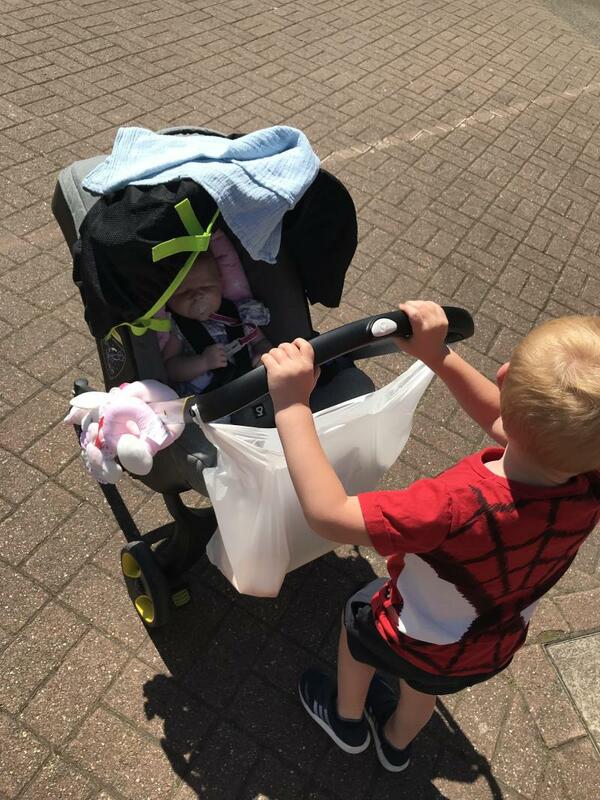 The quickness and convenience of having both pushchair and stroller combined has made things such as shopping trips and school runs with 3 other children far easier and a lot less stress free. The Doona is easy to fold down and put up, with the simple press of a button, making getting it in and out of the car a smooth transition. This is great when in a rush, or in bad weather and I much prefer this to the days of having to get pushchair and carrycot/chassis in or out of the boot and assembling before getting baby in and out of the car seat. This has also been a bonus for when baby has fallen asleep on the journey and has saved waking him to move to the pushchair. The size and shape means I am able to easily get three children sat in car seats side by side in the rear of the car. My boot space is also left free, which is another positive. The chassis is small and I've often had people comment on how tiny the pushchair is. The handle to push does extend and however it is ideal for me at 5'3 I question whether this would be ideal for someone much taller? The pushchair is very nippy and easily navigated with one hand, again ideal when dealing with other children or trying to shop. The only negatives with this product I feel are the straps to secure baby into the seat often seem loose on the shoulders/chest and tight across the thighs despite trying to tighten all over, however this is only slightly and never caused me major issues. It also obviously become heavier to lift in and out of the car as baby grows but I feel this is relevant to any car seat similarly used. I do not feel it is heavier by much in comparison. Our hood also comes loose very easily on the one side however I am unsure as to whether this is an overall product issue or just relevant to the one I have purchased. I would definitely recommend this pushchair to anyone who makes regular, short journeys where there is lots or getting in and out of the car. It has been my saving grace. 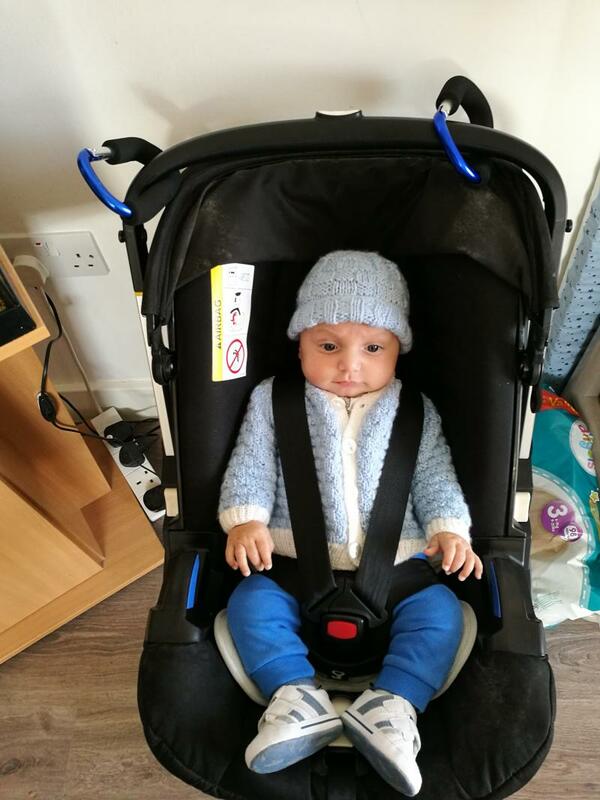 We have used it for longer journeys with no issue and baby remains comfortable and happy however I feel in these scenarios a separate stroller may be needed to give baby a break from sitting in the same position for too long. Perfect for on the move and doing the school run or popping into the shop, my partner was hesitant about buying another buggy for baby no. 2 but as soon as he arrived and we started using this buggy he realised how incredible it is! Light, easy to fold, very easy to clean. This is the best product lately. Very light and easy to fold. My 4 months baby is falling a sleep straight away so it must be comfy for him. Very easy to clean just take cover off and put in to washing machine. Will recommend to every parent. As a mama with chronic low back pain, this car seat was a LIFE SAVER. No lugging a car seat around, just pop out the wheels! I love that I don't have to bend over on the ground to strap my kid in. It's perfect for a family living in an area where you are doing a lot of driving. It is a bit heavier than a typical car seat, but then again the idea is that with wheels you are not having to carry it. I constantly have other moms stopping me to ask where I got this magical contraption. And it makes traveling with an infant SO much easier because there's no need for a separate stroller (one less thing to lug to the airport!) can push kiddo all the way to the gate, collapse, and gait check. Hands down the best baby purchase I've ever made. Would absolutely buy again. Worth every penny!! Love this car seat as does my older son (5) as it's perfect for him to push without putting handle up. Even with it been a bit heavier it make life easier when just running into shops or restaurants. And takes up less space than a pram base. This car seat made life so much easier when my son was small, I could put him in and out of the car with ease. I live in a flat with not a lot of storage space, but the car seat didn't take up much space. My older daughter (age 6( loved the fact that the handle could be lowered so she could push her brother. 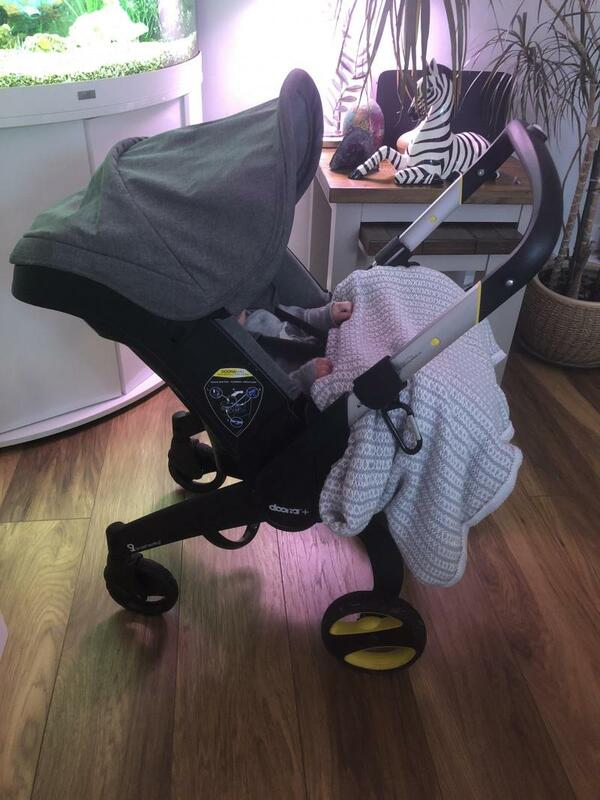 In all it's a lovely pushchair and am in love with the design, very flexible and easy to function but if only it was more off the floor it would be excellent. Nipping in places couldn’t be easier with wheels that pop out of the frame! So I’ve had this since my baby was born she is now 9 weeks. This is such a time saver and saves putting a buggy up and down when needing to nip in somewhere. Can’t recommend it enough! 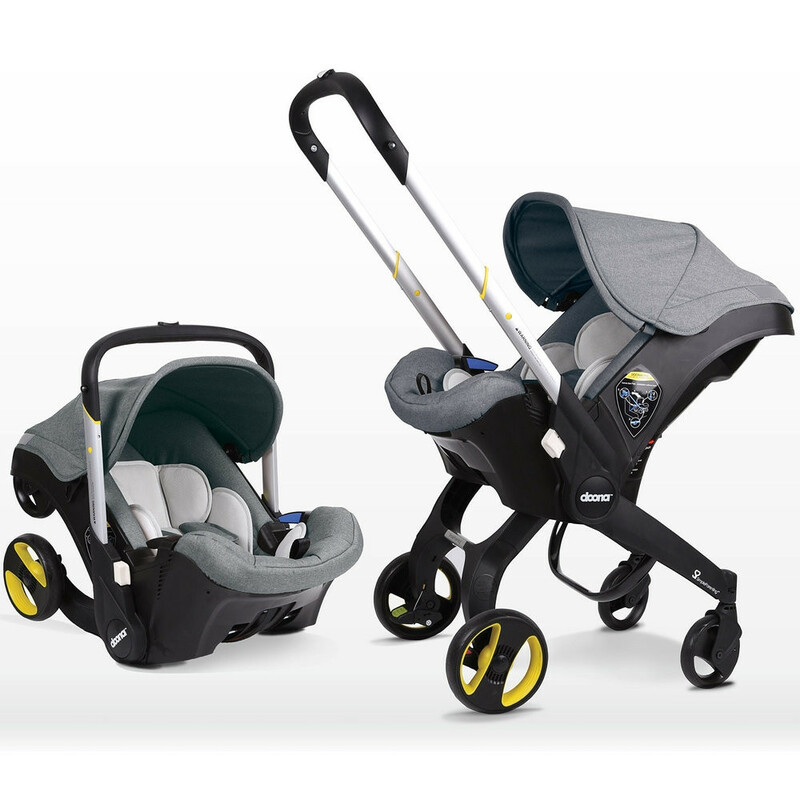 This Doona car seat converts from a group 0+ car seat into a compact stroller. 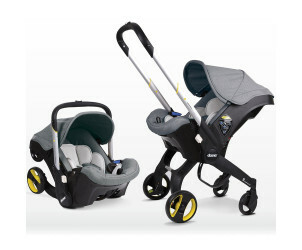 Ideal for stepping out and about with baby, without a travel system frame required. 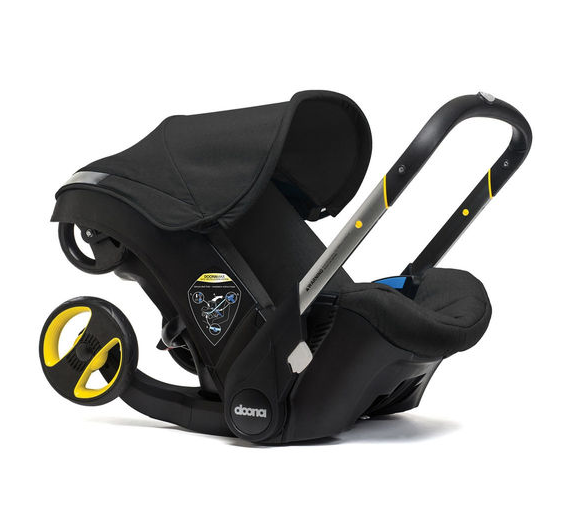 The Doona is the next generation infant car seat, combining the highest standard in safety and a integrated travel system. It has already won multiple industry awards. Ideal for todays’ busy parent, the Doona surpasses every safety standard in its primary function as a car seat and when converted into a stroller at the click of a button. With its deep double walled side impact protection, orthopaedic inner cushion and anti-rebound technology, the Doona is also bigger than most of the other car seats, so your infant can remain in it for longer. 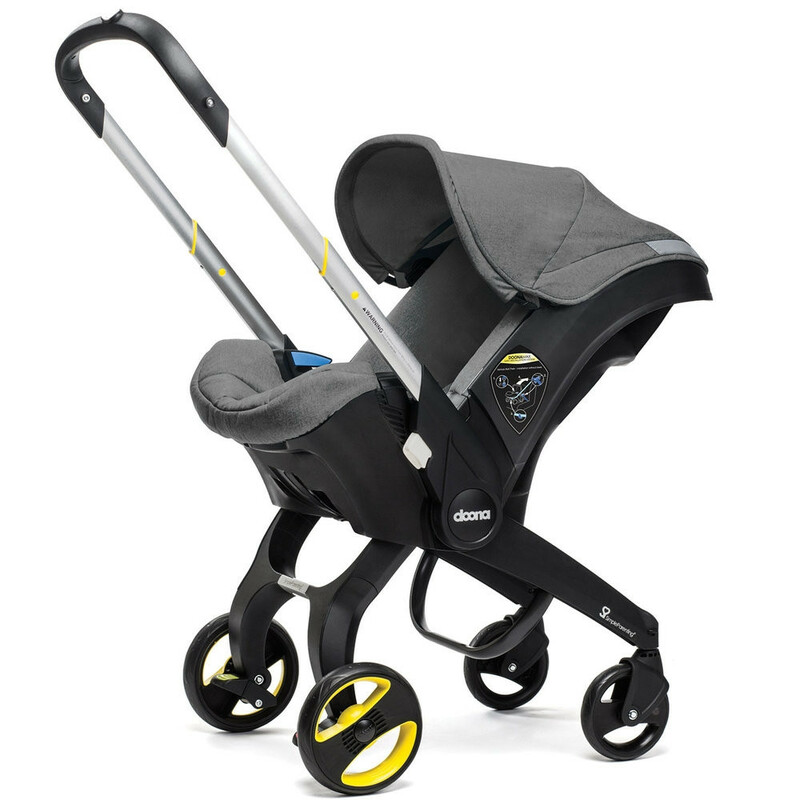 Simply secured with the 3-point seat belt, the Doona can also be used with a Doona ISOfix base (sold separately) for added safety and practicality. Thanks to its integrated wheels, you can be out of your car with your baby in less than ten seconds, and on your way in comfort and style.